Today I am reviewing the movie Morris form America. 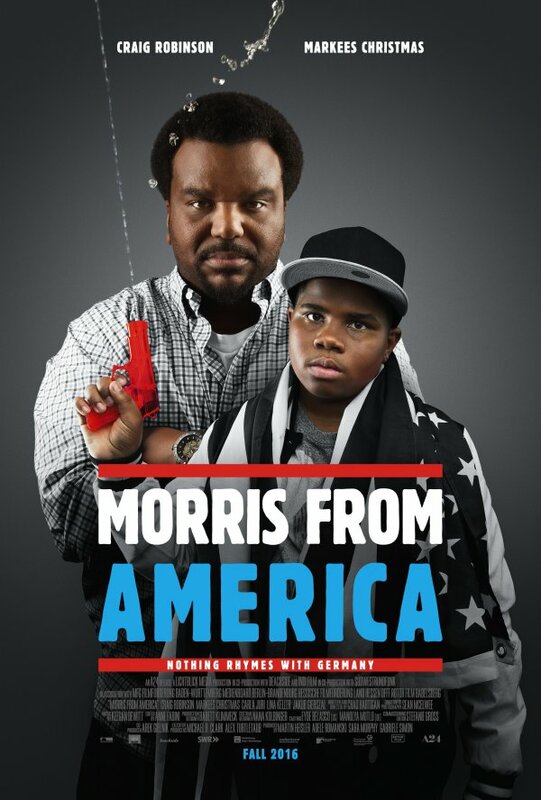 Morris, a 13 year old American boy who moves to Germany with his dad. His dad is a football (soccer) coach and Morris must find his flow with the German kids. With romance, rap and awkward moments, this film is set to make you think about life in Germany as an African American boy. Starring Craig Robinson and Markees Christmas . I like the look of this film, there are some great father son bonding moments and some new insights about life in Germany. This entry was posted in Uncategorized and tagged Craig Robinson, Markees Christmas, morris from america. Bookmark the permalink. ← Look out for Cici’s Premiers and Projects 2016!